Open house tours aren't very schedule-friendly for employees and people who have busy schedules and lives. They always happen during working hours and on a few select days, and more often than not, there are dozens of other potential buyers touring the house at the same time as you, annoying you with their comments and mere presence. 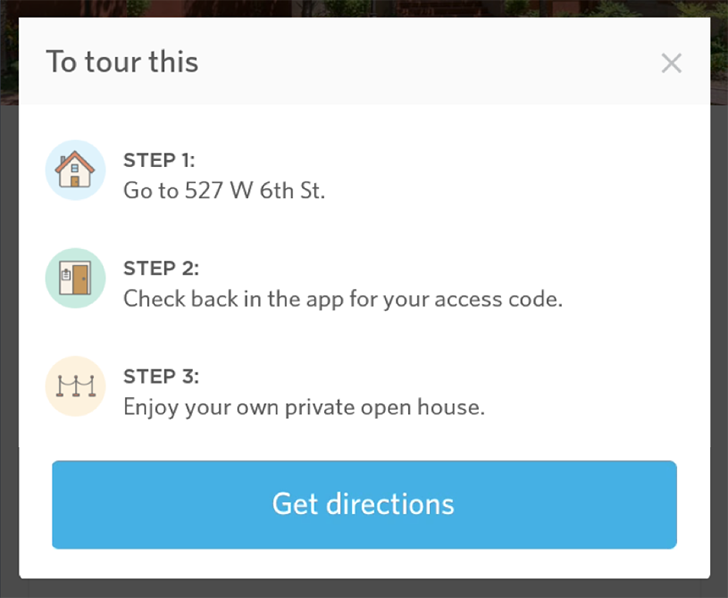 Opendoor aims to solve that issue by streamlining the open house process as much as possible. The team operates in Phoenix and Dallas, pre-inspects every house it lists, makes sure it's repaired, and includes an extended 2-year warranty and 30-day satisfaction guarantee. Listings include all the details of the house so you can filter by criteria to weed out the ones you don't care about, the location to browse on a map and see open houses near you, and plenty of photos to view the house from your phone. 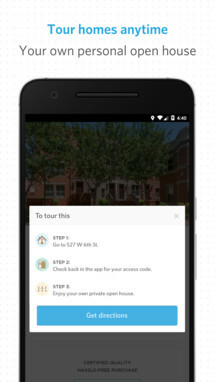 If you decide to check a house in person, the app acts as your key to unlock it for a private visit that you can schedule every day of the week between 6am and 9pm. It's that convenience that makes Opendoor a very interesting concept and company. At the very least, you could go for a visit early in the morning or late at night, when your time permits, and not be greeted by a locked door and no way to get in. The Android app is now available for free on the Play Store so you can download it and give it a try if you live in Phoenix or Dallas. 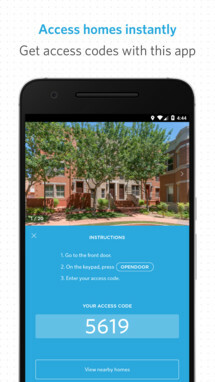 PHOENIX--(BUSINESS WIRE)--Opendoor, the fastest growing real estate company in Phoenix, has launched an app for iPhone and Android that gives home buyers instant access to hundreds of homes for sale in the Phoenix area. With a few taps, buyers can find homes that match their criteria, view home details, and instantly take the next step of visiting homes on their schedule. Opendoor recognizes how valuable it is for buyers to visit a home at their convenience and has seen over 60% of Opendoor home visits occurring outside of traditional open house hours. Buyers see home visits as integral to making a confident and informed decision, but busy schedules and weekend activities make it a key pain point in the process. With the launch of the app, home buyers can visit every Opendoor home 6AM–9PM any day of the week. 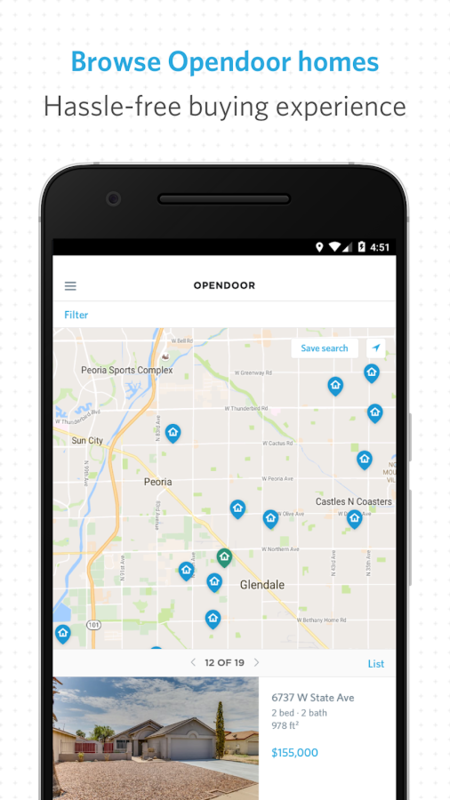 The Opendoor Real Estate app is available to download today on the Apple App Store and Google Play store. Opendoor launched in Phoenix in December of 2014, and since then has become the fastest growing real estate company in the Phoenix area, selling over $300M worth of homes. Opendoor, the consumer marketplace for homes, removes all the headache, uncertainty, and risk from buying and selling real estate. Headquartered in San Francisco with offices in Phoenix and Dallas, Opendoor was founded in March 2014 by Keith Rabois, an investment partner at Khosla Ventures, and CEO Eric Wu. For more information, please visit www.opendoor.com.